The Friends of Franklin Parks presents a check to the Leadership Franklin Project to fund an outdoor ping pong table for Pinkerton Park. The pavilion at Tinkerbell, Pinkerton Park is a Leadership Franklin Class of 2017-2018 community improvement project. The project includes upgrades to the Pavilion, ADA compliant access to the Pavilion, a charging bar for electronics, concrete ping pong table, shade sails, and benches for park goers. Our passion and goal is to provide the next generation an area that they can enjoy while keeping an eye on their children. Charging station so folks can be “connected” as well as another form of fun and activity for all ages with the ping pong table. This area will be beautifully landscaped with benches that will be very inviting for all ages. We are honored and thrilled to create a space that will be a blessing to many in the future. 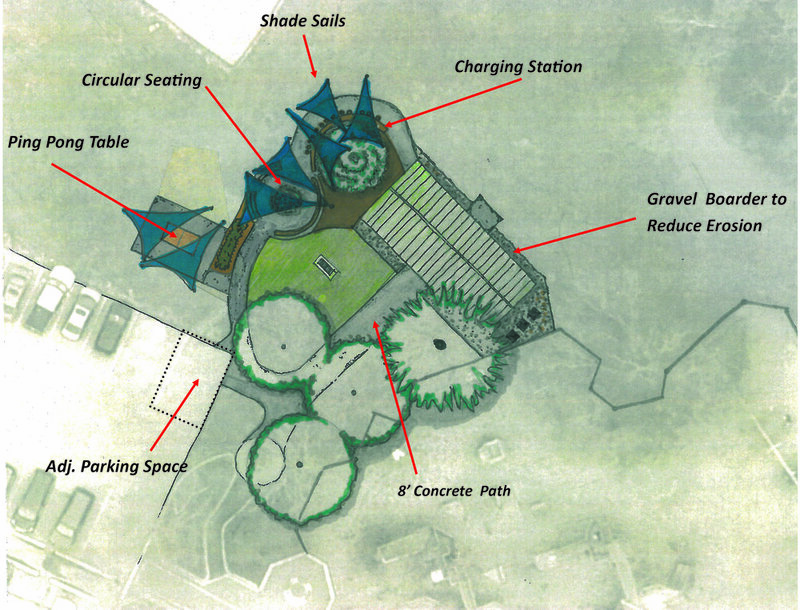 We are partnering with the City of Franklin and Friends of Franklin Parks for this project. If you would like to be a sponsor of this pavilion contact the Friends of Franklin Park at 615-674-5388, or please consider making a donation below. If you are interested in donating an amount different than the options below, please contact the Friends of Franklin Parks directly, or simply mail a check to the Friends of Franklin Parks at PO Box 549, Franklin TN 37065. 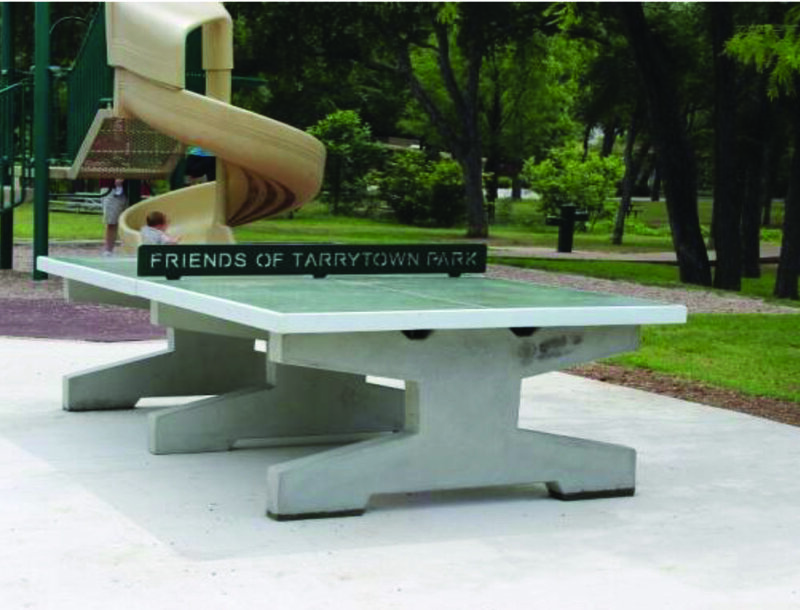 Example of an outdoor ping pong table. Rendering of the proposed Pinkerton Park Tinkerbell Pavilion project.